For the first time in its history, the ISE C.B. Almeria opts to raise the category and play the pass to WL1. After a tough competition and a heart attack match, ISE C.B. 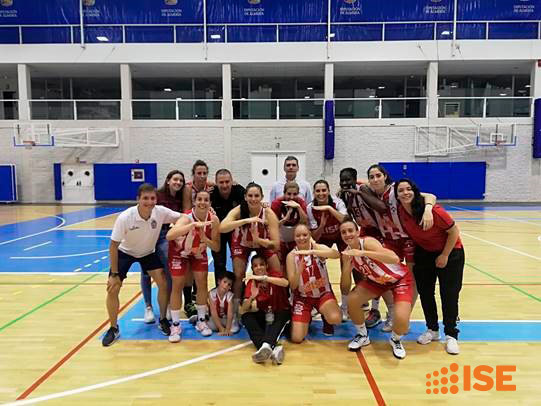 ALMERÍA won the match against Ciudad de los Adelantados on Saturday 13 April in Almería with a tight five-point difference (61-56). This result gives the team the fourth place in the classification and the possibility to fight for a place in WL1. ISE has sponsored the women’s team since mid-2016, as a bet on local sport and the values of team play with which we identify. For us it is a pride to continue supporting the ISE C.B. ALMERÍA women’s league and to share its achievements after a great effort, dedication and teamwork.